Here you will see all the beds you have added in the cart. You can also remove a bed, or make the quantity more. To order, click on the "check out" button at the lower right corner. 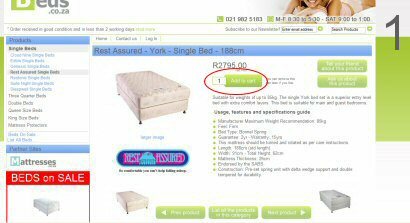 Go to the information page of the bed/s you would like to buy. Just underneath the price is the "add to cart" button. 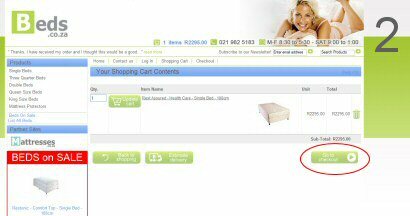 Clicking the button will add a bed to your cart and display the cart for viewing. 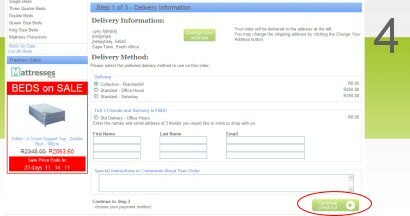 After registering you will be see various delivery options depending on what's available for your area. Choose your delivery option, then click the "continue check out" button at the lower right corner. As a new customer you will need to register. 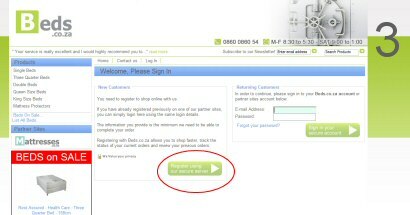 Click the register button on the left and you will see the registration page. It's easy to register and only takes about a minute. Confirm your order. Review your order and make any changes if required. Click the "confirm order" button. Please see the futher notes below. Payment Methods: How would you like to pay? Choose a payment method. Don't forget to confirm our terms & conditions on the lower left, then click the "continue check out" button at the lower right corner. EFT: Our system will email you an invoice with our banking details on it. 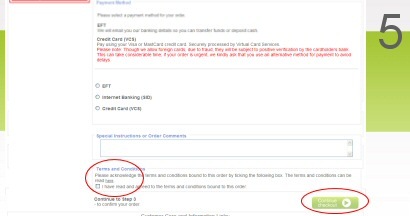 Credit card: You will be taken to the page where you can pay by credit card. After completing your credit cart payment you will be diverted back to our site and your order will be confirmed. SID Payment: You will be taken to your bank where you can pay via internet banking instantly. 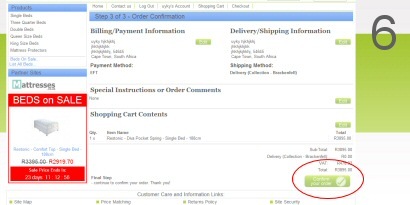 After that the system will automatically divert you back to our site and confirm your order. Please see our Payment Methods Page for futher details in this regard.